The RAV4 is a great companion for outdoor adventures in Indianapolis, IN, and many models include the enhanced capability of all-wheel drive. On top of that, Kelley Blue Book called it a “standout” in the compact-crossover segment. 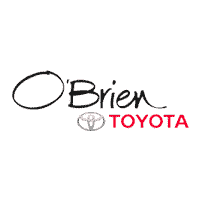 Explore our selection of RAV4 trim levels, colors, and configurations today at O'Brien Toyota. Apply for financing online, and in no time you’ll be on the roads of Greenwood in your new Toyota RAV4.